I found out,that I do an other mod in Cartoon style. Batman Of The Future (Batman Beyond) I'd like to create with many new function. And yeah this too Hungarian. But this mod is in plan. I need on some thing a little help. Last edited by Officer-Michael John on 07 Nov 2018, 20:37, edited 1 time in total. Tall walls fit Batman mod much, good idea. You want aiming freelook? In Wolf3D engine? I'm not sure it's a good idea. Well, will wait for screenshots, we all love Batman and Batman mods. DoomJedi wrote: Tall walls fit Batman mod much, good idea. That I try to do as in series. Later I'll start the mod. But I don't know,that when. Soon I'll release The Simpsons mod beta version. 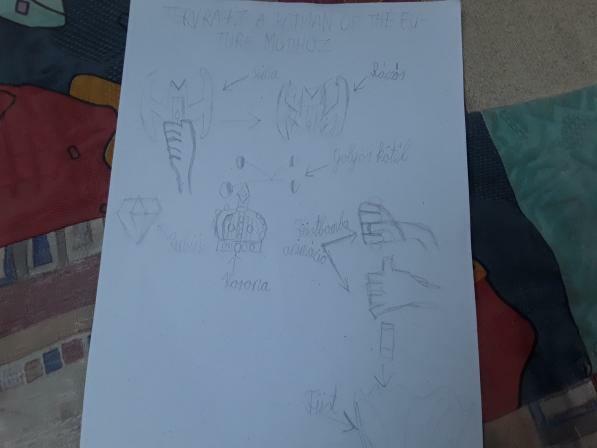 I started to plan some thing of mod. I drew with pencil. Therefore sorry if you don't look well the graphics in drawing. I already started to create the mod. 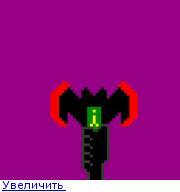 I create 1st Batarang. Automatic reload as in Cartoon. You are really investing some planning and concept art into it. You should probably add some color depth to it. DoomJedi wrote: You are really investing some planning and concept art into it. I always add concept art already. As I said,that I create as like Cartoon. I know,that size isn't good. But,I try to do well as in series. Right,that I didn't do yet because I need to think on mod. How to I create the things. Don't worry. This mod isn't cancelled/dead. Only to this has a break.